If yes, please continue to Section C and submit required documents along with this form. Are you, your parent or spouse a member of the US Armed Forces on Active Duty? Is the current duty station in New York State? 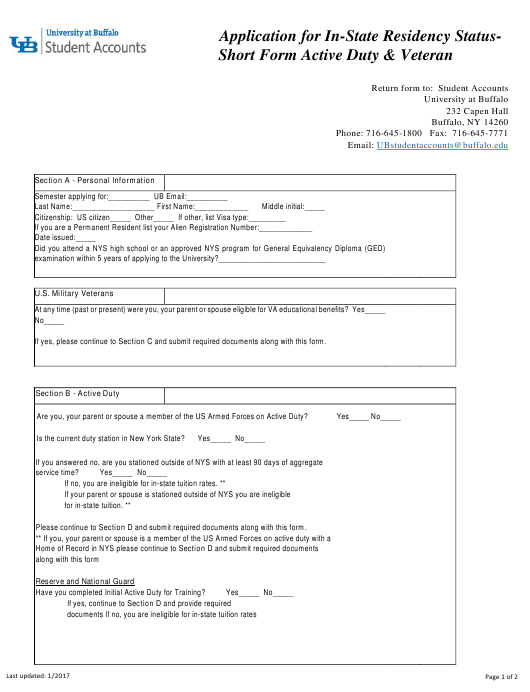 Please continue to Section D and submit required documents along with this form. Have you completed Initial Active Duty for Training?